Nothing beats the joy of sipping and sharing your own crafted beers. We’re thrilled to announce that on October 21st, we’re launching MINIBREW® on crowdfunding site IndieGoGo. 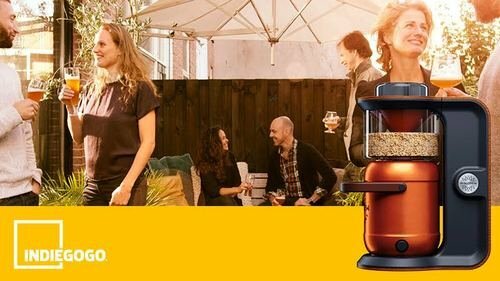 Meet your first countertop brewing machine that puts the “Brew It Yourself “ movement in your kitchen, the office or holiday hide-out. Before we share MINIBREW® with the rest of the world, we wanted to provide an exclusive opportunity to our loyal community. To thank you for signing up as one of our super early supporters, you’ll have the opportunity to support or purchase the first machine. Simply select one of the options below to let us know how we can count on you to support MINIBREW®. In no time, you’ll become the next tastemaker in the beer industry. Brace yourselves, the beervolution is about to begin.